Having started his career as a sommelier in luxury hotels, restaurants and onboard cruise lines, Raul Diaz later branched out to enter the world of education. He now runs his own WSET Approved Programme Provider, WineTraining, in London with another wine school in Malaga, Spain in the pipeline. He tells us what consumers want out of wine education and tips for successful operations. What inspired you to move into wine education following a career as a sommelier? The sommelier days were amazing! I had the chance to learn a lot from different sources, meet very interesting people, travel to many inspiring wine places around the globe and to taste some truly delicious wines. I started expanding my career and things were looking really good, particularly after I joined a London based wine merchant as their training manager. 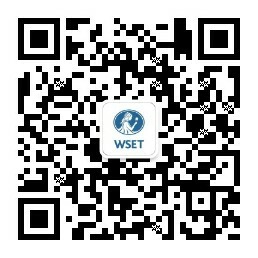 I was able to write courses and teach the WSET qualifications. However, at one point, I felt that I had to share my experience with other people using a more creative approach. I wanted to encourage others to grow; but I wanted to do it in my own way by creating a platform that can inspire students and clients to challenge themselves. You can see that creative approach in my brand-new websites. What do you find most consumers are hoping to learn through your courses? My students are looking to gain a solid and systematic wine knowledge that can be useful in many different situations. My school is open to trade students and the general public alike. From the beginning I wanted to have this mix, so my courses would be richer in terms of the learning experience. The students want to be able to talk about wine with more confidence; choosing the right styles, matching wine with food, and picking some exciting bottles from the shelves. For the trade students the courses are a real tool to progress with their careers. As a regular on Channel 4’s Sunday Brunch, how do you adapt your classroom training to meet the level of knowledge of a consumer watching the show? I try to use only one approach for all. The consumers watching the show like to get core information to understand a particular wine, without going into so much detail. They want to be able to get a simple message and use it straight away. If the presenter starts to talk in a very complicated and elaborate way the viewers will get bored easily. Sometimes knowing less, but solidly, is better. It’s really important that the presenter creates a relaxed social environment for the viewers. People will understand and remember more if they have fun while they are watching TV. With an existing wine school in London, why have you decided to expand into Spain and what courses will be available through Malaga Wine School? I noticed in the last couple of years that there was a real potential to teach WSET courses abroad because many international students were booking courses at our school in London. As a matter of fact, this month we had students coming from Germany, China and Spain to study with us. Also, I taught in several European countries for different clients and the feeling was the same. They were thirsty for wine knowledge. Malaga was an easy option. It’s a beautiful city by the sea, with the best environment to learn about wine. I want to provide a wine experience for wine tourists but at the same time to teach local trade individuals. We will offer the WSET Level 1 Award in Wines and Level 2 Award in Wines and Spirits in our first year and we will expand to offer the WSET Level 3 Award in Wines in 2019. As a consultant to the trade, what is a key piece of advice you give to businesses to run their wine operations with success? I think the most important tip is to have a proper wine training programme in place and to be committed to it. You need to get wine trainers with extensive practical experience that have credibility, but also efficient methods of teaching. If you have a modern and professional approach to training and you work hard with your team positive things will come as a natural result. Customers are more demanding today, and they won’t give you a second chance as a business, if you and your team failed to provide a great wine service. Forget about the old-fashioned way to deal with wine learning. Bring in creative people with new ideas that are not afraid to take risks whilst having the right balance to run your wine operation. Your goal should be to have this training programme as one of the pillars of your business, the whole year round. To learn more about Raul’s wine training programmes in London and Malaga visit his new websites www.winetraining.co.uk and www.malagawineschool.com.